Silk Reeling strength is a method of movement distinctive to Chen style Taijiquan. It is spiralling movement guided by consciousness which combines the flow of internal Qi and the outer body's rotation and coiling. Internally the practice of Silk Reeling Movement trains the mind and Qi, and externally it trains the body. It can be basically divided into coiling inwards and outwards, towards the body and or away from the body. The key is that internally and externally the rotational movements towards and away from the body are even and balanced. When the internal Qi moves upwards then the turning is in the shoulder and wrist; when it moves downwards then the knee and ankle turn. The coiling in the torso involves spiralling and folding (undulation) in the chest, waist, abdomen and arms which connects the upper and lower limbs in their spirals and rotation. Thus the whole body has this spiralling and rotation. Long term practice of this results in a full circulation of Qi and blood, and open flow in the meridians and the muscles and tendons developing a spring-like elasticity. One can eventually reach the level of a strength that can be used spontaneously at the point of contact for neutralising or attacking. For example, if someone attacks with a straight punch you can use the rotation of the arm along with peng jing (outward supporting strength) to deflect and neutralize the punch. Thw: using 'the orbit initiates the spinning' to enact 'four ounces to deflect a thousand pounds of force'. It is not done through stiff, rigid strength going force against force. Through this rotation and spiralling the internal organs get massaged, the meridians are cleared, the Qi and blood flow freely and the metabolism is vigorous. It results in longer life, less illness, a stronger body and greater health. This kind of distinctive movement is the reason for Chen style Taijiquan's particular health benefits. 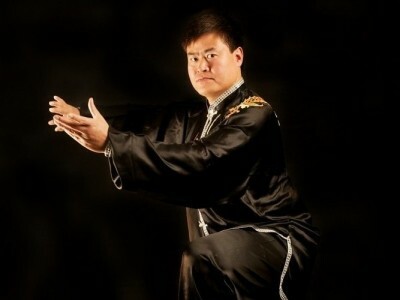 Wang Haijun teaches regularly in Manchester and London and can be contact at www.wanghaijun.com or by telephoning 0161 4488270.